Are you a big fan of Disney Dining? I am! We are locals and we eat at Disney a lot so we are always looking for discounts. Yes we have an annual pass and a Disney Visa, but those only give you 10% off. I need a bigger discount for my family of 5 so we have the Tables in Wonderland discount card which gives you 20% off. The 20% off includes both food and beverage (including alcohol) at well over 100 participating restaurants in Walt Disney World. The card also entitles you to special dining offers, invitations to special dining events, and complimentary resort valet parking for dining purposes. The cost of this card is $175 for Florida Residents and $150 for Annual Passholders and DVC Members. If you are a local or DVC member who comes frequently to Walt Disney World, this is a good deal. We have definitely gotten our money’s worth with this card. The card is simple to use. 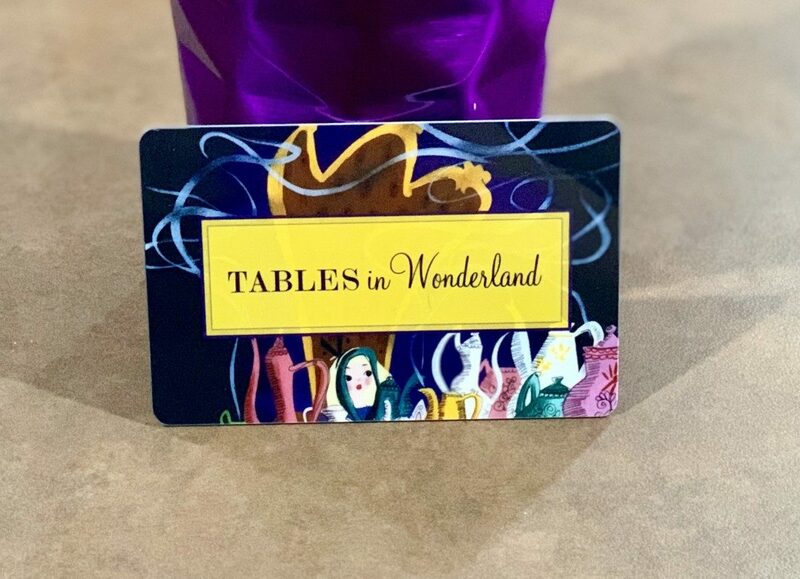 When the check comes, just present your Table in Wonderland card and they will apply the discount to your check as well as add the gratuity. It’s super simple. Some of my favorite restaurants that are included are Ohana, Trails End, Cape May Cafe, Via Napoli, Rose and Crown Pub, Beaches and Cream, and so much more. If you order over the phone , you should receive your card in 5-7 business days (I got mine in 2 days) and you will receive a plastic card. You can also get your card at Guest Relations, but it’s a paper card. I highly recommend ordering over the phone and getting the plastic one. It’s much more durable. To order by phone simply call (407) 566-5858. Happy Dining!